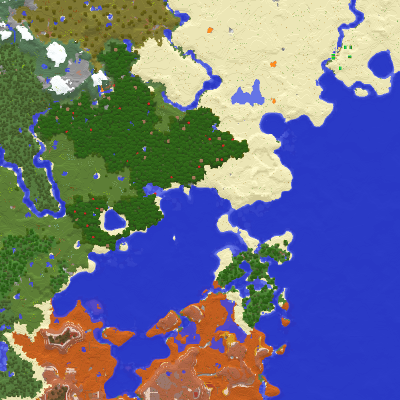 * Compatibility with Xaero's World Map 1.2.5. * Optimized the use of memory for the default minimap loading. Not necessarily in terms of the amount of memory used but rather in terms of the way the memory is used. This means less memory cleanups (garbage collection) and it can potentially improve performance. Only applies to cave maps if you're using Xaero's World Map. * Fixed the game crashing when switching waypoint sets after starting the game with all waypoint-related features disabled. * Fixed the game crashing when going into skin customization settings with some other compatibility-related factors in play. * Fixed slime chunks not working with waypoints disabled. * Improved the logic behind updating the default minimap loader chunks when the lighting changes. + Waypoints from overworld while in nether will now appear as if their coordinates are divided by 8. Creating and teleporting to waypoints is also supported. * Fixed distance to waypoints precision. Makes sense for it to be more precise, now that it's possible to view distance under 20 since 1.14.9.1. * Fixed a rare crash when using the mod alongside the world map mod.